While you can configure your ReadyNAS to send you alerts about issues with your ReadyNAS device, there is a huge flaw in having a device report about itself … it won’t be able to send you alerts if it is down, whereas having another device monitor it will be able to alert you if it is down. In this article, we will discuss monitoring your ReadyNAS with Nagios through SNMP (Simple Network Management Protocol) monitoring checks. 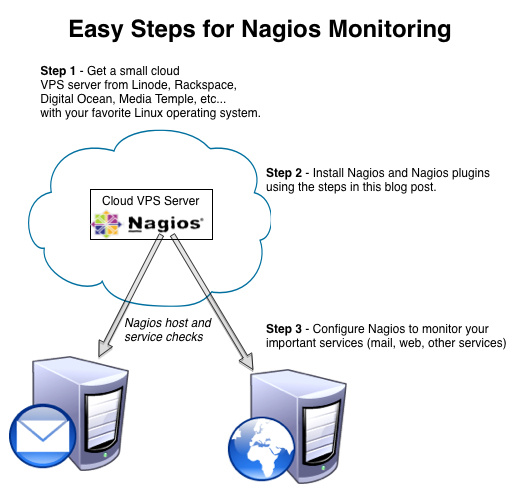 In this article, we discuss how to Monitor ReadyNAS with Nagios. The first step is to enable SNMP on the ReadyNAS device. You do this in the admin interface by going to the “System” menu and then hitting the “SNMP” button. 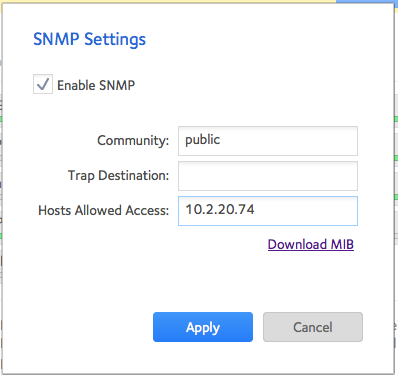 Community – Enter your SNMP community string. This is kind of like a password required to get SNMP information from the device. Hosts Allowed – Enter the IP address of Hosts that can communicate with this ReadyNAS with SNMP. 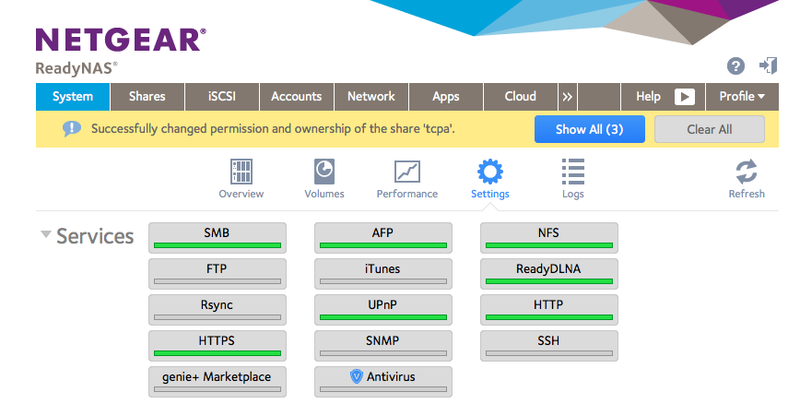 With these items configured, hit the “Apply” button and you are done configuring the options in the ReadyNAS device. But don’t close the SNMP settings window yet because you will need to click the Download MIB link to get the MIB for your nagios server to use. 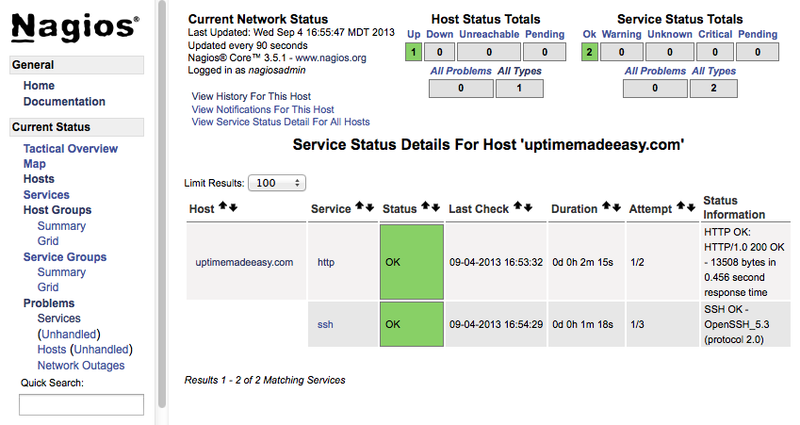 or, you can choose to snmpwalk using a specific OID just like your nagios check will do when we set it up later on. Looks like we got good output from the ReadyNAS so we must have set it up correctly. We are now ready to work on adding it to our Nagios system. 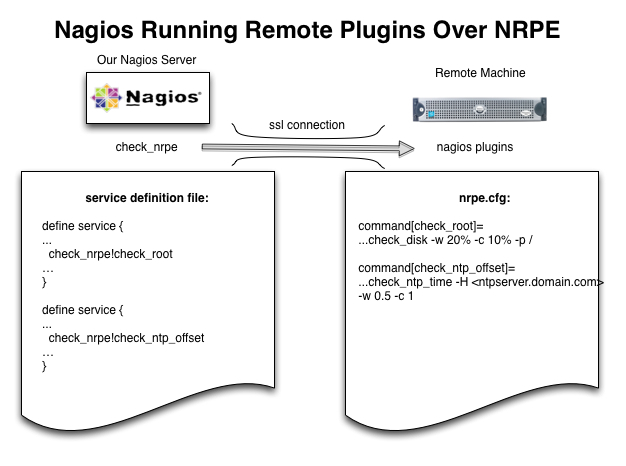 If you need help setting up your Nagios machine, see one of our previous articles on Installing and Configuring Nagios. BE SURE THAT YOU HAVE THE NAGIOS PLUGINS INSTALLED TOO. We will be using the check_snmp plugin. The next step is to login to your nagios machine and add a new nagios configuration file to put your commands into. Here’s how I did it in my system. Is the volumefreespace in bytes, KB, MB or GB? The VolumeFreeSpace number that you are seeing in the Nagios Service Report is in KB. Excellent tutorial. I was having great trouble with this using other guides. Thank you thank you. I think its in MB though, not KB. At least, thats how the math works out on my NAS. Thanks Sean. looks like you are right. Thanks!